Language barriers between caregivers and patients can contribute to poor communication and worsened patient outcomes. Using a sanctioned translator should be the standard of care. Septic Arthritis: Synovial WBCs are useful only for their positive likelihood ratios predicting culture positive septic arthritis. Pain with range of motion combined with elevated ESR and CRP should push us towards consideration of septic arthritis. NAGMA: attributable to both RTA as well as abnormal vesicular-intestinal connections due to the wasting of bicarbonate by the gut mucosa via chloride - bicarb pumps. Feedback is a continuous process and occurs throughout a shift/interaction whether we realize it or not. It is important to be aware of this and use it to your and your learner's advantage. Feedback promotes learning while praise promotes satisfaction. It is important to keep this in mind as we approach our goal of educating our learners. Remember, satisfaction does not equal quality. It is helpful for you and your learner to have a mutual understanding at the onset of working together of goals for the learner: what are the expectations for the learner (shadowing? one patient at a time? 1 patient per hour? etc). Discuss these educational goals upfront and be transparent in how you will assess the interaction. 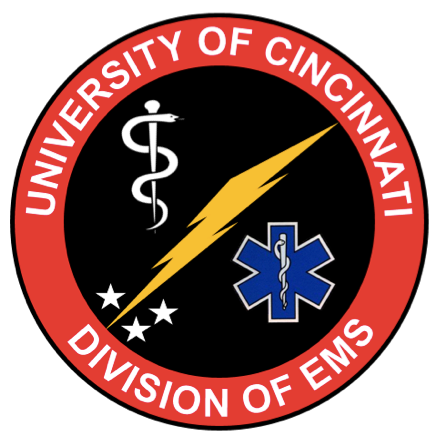 The RIME Model has been validated as a useful tool for medical student evaluations in the emergency department specifically: Reporter (can report data/exam findings), Interpreter (interprets what data/findings mean), Manager (can create a plan), Educator (can educate others on patient presentations). This is not a static model. Different learners can be different points within RIME depending on the situation/interaction. Dr. Grosso presented Hauck et al "Cardiac arrest with initial arrest rhythm of pulseless electrical activity: do rhythm characteristics correlate with outcome?" This is a retrospective review of an EMS database. It examined QRS width and heart rate in patients with pre-hospital PEA arrest and correlated them with survival to hospital discharge and neurologic outcome. Dr. Axelson presented Nichol et al "Trial of Continuous or Interrupted Chest Compressions during CPR"
A very large, methodologically rigorous study that included over 26,000 patients randomized in a crossover trial design to either continuous chest compressions (at a rate of 100/min) with asynchronous ventilations (10/min) or interrupted chest compressions alternating with ventilations at a rate of 30:2. The continuous chest compression (CCC) group had a survival to hospital discharge of 9% vs 9.7% in the interrupted chest compression (ICC) group. The CCC group had 7% favorable neurologic survival, and the ICC group had 7.7% favorable neurologic survival. Neither difference was statistically significant. So does this mean our recent emphasis on good chest compressions has been de-bunked?! No! When we dive deeper in to the study we note the differences in treatment between the two study groups was vanishingly small. Specifically, this paper hinges on compression fraction, defined as the fraction of each minute of time spent in doing good chest compressions. The CCC group had a compression fraction of 0.83, while the ICC group had a compression fraction of 0.77. The AHA sets a floor for prehospital CPR compression fraction at 0.6, meaning both these groups received excellent CPR, outpacing the minimum standards set but the AHA. The take home: Good chest compressions are critical! If doing high quality CPR while spending the majority of each minute chest compressing it probably does not matter if you deliver your ventilations asynchronously or during a brief pause in CPR. Despite what the results might indicate in passing, if anything this study largely confirms what we have already found to be true - that high quality chest compressions matter! Dr. Winders presented Fanari et al "Aggressive Measures to Decrease 'Door to Balloon Time' and Incidence of Unnecessary Cardiac Catheterization: Potential Risks and Role of Quality Improvement." This is a retrospective study in a single center as it transitioned from a standard door-to-balloon protocol to an aggressive one, in an attempt to get patients with STEMI to the cath lab faster. The bottom line: The more aggressive door-to-balloon protocol had a much higher mortality observed in the False Positive STEMI group. This effect was much more pronounced than any observed benefit seen in the True Positive group, although all comers did indeed get to the cath lab faster. The take home: There are other causes of STEMI (hyperkalemia, dissection, sepsis, bleed...). The cath lab is designed to treat one thing and one thing only: a stentable lesion. It is not capable of the required resuscitation of the critically ill patient that can mimic STEMI. In areas of diagnostic uncertainty (thinking post PEA-arrest with unclear etiology) make sure you exclude and address other potential causes of ECG abnormalities prior to sending a patient to the lab, particularly if this means missing a time-dependent diagnosis.